As you know, we don’t always have information to go with every photo. This is one of those cases. However, with a little photo sleuthing we have deduced that this image is of Mule Queen 1948, Alice Lee Foster. The trophy appears to be inscribed with 1948. Now, in the case of Sue Morrison the year on the trophy did not match the year she was crowned and so we have to look a little deeper. We have another photo of Bettilyn Barnes receiving the crown for 1949 and it appears that Ms. Foster is passing the crown. Then we browsed through the CHS yearbook, The Signal, to see if we could find photos of Ms. Foster. Unfortunately, we couldn’t find a 1948 edition when Ms. Foster would be a senior and the other years are group photos for Juniors, Sophomores, etc. 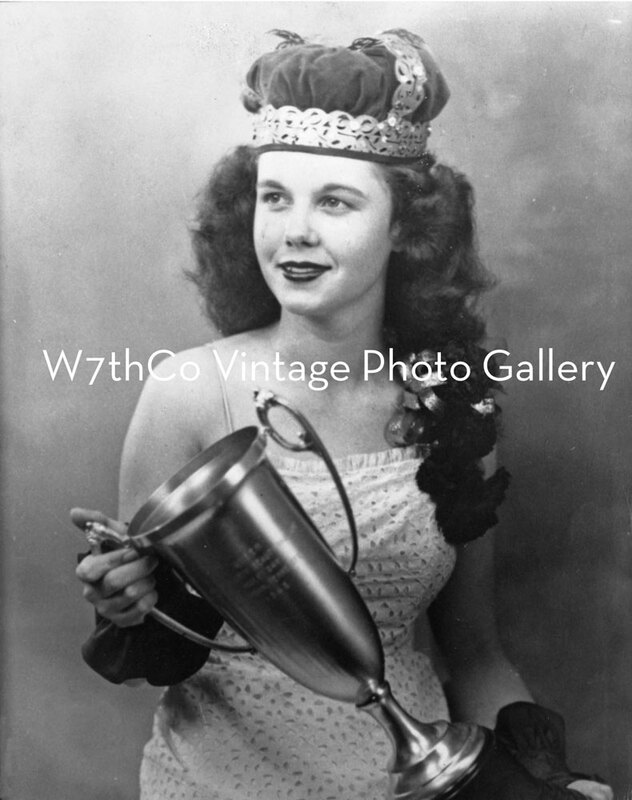 But here we are with a strong belief that this is indeed Alice Foster in a lovely photo wearing the crown and holding a trophy for Mule Queen 1948. So we need your help to verify or correct us. Do you know who this is? As always we invite you to come by or email us with any information that you have.